Licence To Perform - the certificate you receive from us which authorises your production company to give live performances of one of our titles. You must pay Royalties before these licenses are issued. Orchestrations - a set of music books for use by your band or orchestra during performances. Performance Material - those orchestrations (aka 'band parts') used by musicians to accompany performances. Perusal Material - for musicals only: a set containing a printed libretto and piano/vocal score together with an Audio CD of either a performance or studio recording, often accompanied by a DVD of a live stage performance. You can borrow these for a defined period in order to fully become acquainted with the musical in question. 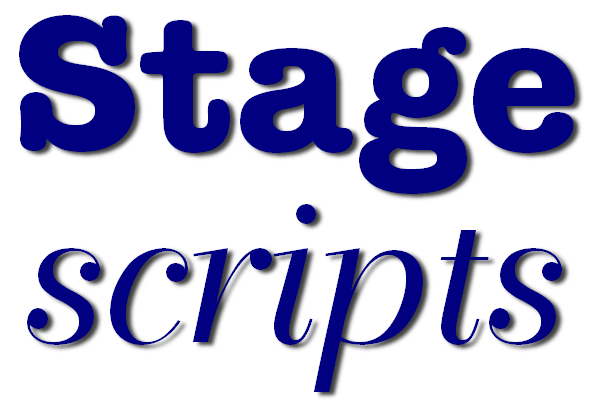 Preview Script - a part-script that can be downloaded free of charge from our website. from reading this, you will be able to see if you want to buy the full script, or request a Perusal Set. Rehearsal Master Set - a Data CD containing pdf files. These files are generally, but not exclusively, the script or libretto, the piano/vocal score. Rehearsal Material - those scripts or libretti, scores and other items used during rehearsals. Royalties - the payment made by you for the non-exclusive right to perform one of our plays, pantomimes or musicals. Royalties are either 'Fixed Fee, Prior Paid' (a single amount paid in advance of the production) or 'Variable Fee, Post Paid' (a fixed deposit paid in advance of the production with the majority paid after the production closes based on a percentage of the takings at you Box Office).